Graphic Designers vs. Web Designers: What’s the Difference? A lot of people often confuse tasks between graphic designers and web designers, resulting in job mismatch and conflicts in the workplace. Laymen would think such roles are interchangeable, as both fields usually work with the same tools and software in designing. In many cases, graphic designers are burdened with responsibilities more fit for a web designer, and vice versa. Though both jobs are geared towards art and aesthetics, there are a lot of differences between both fields. Graphic Design is the art of translating ideas into any form of visual communication. Graphic designers are often tasked with creating a layout for promotional materials that will then be used for digital or print distribution. Their work is often based around typography, use of space, colour and imagery. While writers relay a brand’s message through their careful choice of words, a graphic designer transmits a specific impression of the brand through visual stimuli. Web Design utilizes the same visual principles of Graphic Design but is confined to the elements or totality of a website. 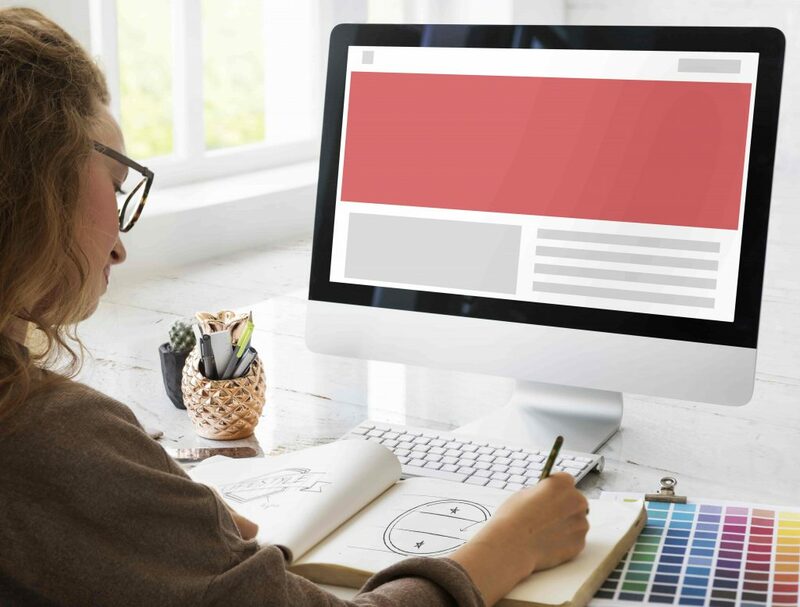 Unlike graphic design, web design has restrictions like the size of the screen they are putting their content in and is geared towards different goals. Web designers need to cooperate with a team or a web developer in order to fully build a working site. Web designers are also limited in making their designs fit a certain coding language to be used in creating the website. What are the differences between the designers? Aside from knowledge in visual composition, web designers are required to know how to code. This is crucial because they need to gauge their design’s compatibility with the coding language the rest of the web development team is using. A background in HTML (HyperText Markup Language) and CSS (Cascading Style Sheets) is necessary to perform a web designer’s job. Additionally, web designers need to take into account the optimisation of their design. They need to make sure that the aesthetics of a website doesn’t hinder its loading time and performance. Because of this, web designers often rely on image compression and other shortcuts that could help a page load faster without sacrificing visual quality. Web designers also optimise for mobile viewing and make sure their design stays good when viewed on different screens. On the other hand, graphic design covers more mediums and can vary between print and digital media. CMYK is usually the preferred colour mode for most graphic designers as it is optimal for printing, while web design uses RGB. Similarly, as with any industry, clashes can emerge between experts in the Graphic Design world and the Web Design world. For instance, a Graphic Designer might look down on their Web Design counterpart, thinking that web media is of a lower calibre than print media. Web Design experts alternatively, may get annoyed with Graphic Designers who don’t understand the intricacies of the coding side of Web Design. Despite the differences between both roles, graphic and web designers are equally important. Visual media comprises a very significant chunk of advertising, and to better reach your audience, you’re going to need both. As established in another article, great design can affect your business. Are you looking for a way to improve your website’s interface or revamping your promotional materials? Check out our web design and graphic design services to see which ones fit your business needs!